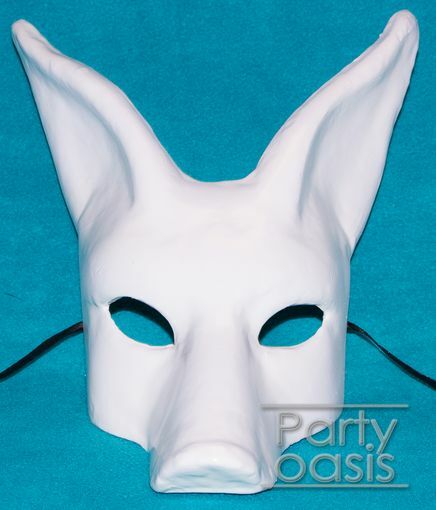 This unpainted Dog mask is made for children. Mask is made of paper mache and ready for painting. Comes with black ribbon ties. Mask measures 7�H x 4.5�W x 9.5�D.